Lasers are just for James Bond villains and Sith lords, right? Wrong. They’re also for dentists! And they have been for some time now: Since 1994, the FDA has given its approval to laser dentistry techniques. The trade has 18 years of experience using lasers to treat dental problems. So how do dentists use lasers to treat teeth? In general, lasers function by delivering energy in the form of light. Dentists have figured out how to harness the power of lasers to treat dental problems. They can be used for removing canker sores, detecting cavities, hardening fillings, cleaning out tooth decay, healing tooth pain and treating periodontal disease. Lasers have the benefit of minimizing tooth damage and providing remarkable accuracy, allowing dentists to be more precise in their operations. 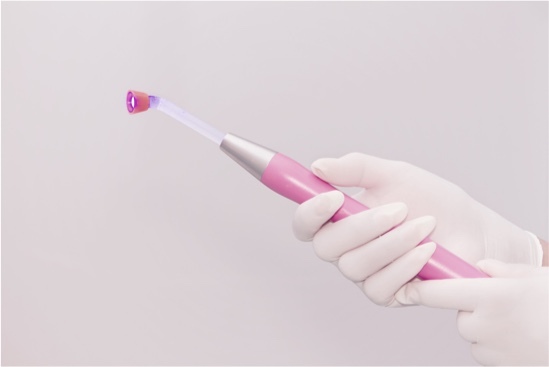 They are also calming for patients who get nervous around the traditional dental drill. However, since dental lasers don’t work for everything, Dr. Bosse keeps a variety of treatment options available so that he can effectively treat whatever dental problems may arise and provide the best treatment for each individual patient’s dental needs. If you’d like to make an appointment, whether it requires the use of dental lasers or not, contact Greenspoint Dental today.